Breathalyzer Test Category Archives — Massachusetts DUI Lawyer Blog Published by Boston, Massachusetts Criminal & DUI/OUI Defense Attorney — Stephen Neyman, P.C. The Boston City Council proposed an ordinance on March 15, 2012 that would require valets to deny keys to those suspected of being drunk. In response, insurance company representatives have expressed concern that such an ordinance would raise costs and place an unreasonable amount of responsibility on valet attendants, according to the Boston Globe. One valet company owner told the Globe that valet attendants do not interact with patrons for a long enough period of time, often only seconds, to determine whether the operator is too drunk to drive. Like these others who are concerned, this Massachusetts OUI / DUI / DWI attorney has questions about this proposal. This proposed ordinance seems to be a hot potato game of pass the liability. Thus, valet attendants, who interact with patrons for a matter of seconds and who are untrained in detecting drunkenness, might be more inclined to notify police of “suspected” drunk-drivers. Could information relative to what is typically a 3-5 second interaction (according to a Globe source) be enough to provide a reasonable suspicion for police to stop a driver? The next issue involves the distinction between drinking and operating under the influence. It is not a crime to have a drink and drive. It is presumptively a crime to drive while having a BAC of .08 or more. It is a crime to operate a motor vehicle under the influence of alcohol. The proposed ordinance blurs that distinction and would effectively deprive anyone who has had a drink, regardless of BAC, of having the keys to their own car. All of this may lead to the issue of paternalism v. personal autonomy in the context of drinking and driving. Certainly, drunk-driving is a problem in society. However, can one not make an un-coerced decision not to drive after having a drink? Does one need a valet attendant, an acquaintance of 3-5 seconds, to tell one that driving isn’t an option? To what extent is it proper to use the instruments of law to force one into doing that which is “right” or “wise”? In response to the last question above, our criminal law in Massachusetts is already designed to deter drinking and driving by imposing very severe, broad-brush penalties. If we need valet attendants to help enforce it, then perhaps those strict “deterrent” aspects are not working. On June 23, 2011, the United States Supreme Court decided Bullcoming v. New Mexico, a case which shores up our constitutional safeguards and which will have important implications in Massachusetts OUI/DUI/DWI/drunk driving cases. The facts, which were summarized in a previous blog post, were as follows: In 2005, Donald Bullcoming rear-ended a truck in New Mexico. The driver of the truck noticed that Bullcoming’s eyes were blood shot and smelled alcohol on him, and he told his wife to call the police. Bullcoming left before the police arrived but was apprehended shortly thereafter. He failed field sobriety tests and was arrested for a violation of the New Mexico drunk-driving statute. Bullcoming refused to take a breath test, but a sample of his blood was drawn at a hospital pursuant to a warrant obtained by police. The sample was sent to the New Mexico Department of Health for blood alcohol concentration analysis. Such analysis involved operation of gas chromatograph machines and various steps susceptible to human error. The scientist who performed the test and signed the certification reported that Bullcoming had a BAC of .21, and Bullcoming was prosecuted for the more serious crime of aggravated DWI. At a trial by jury, the State introduced the findings as a business record during the testimony of a scientist who did not observe or review the test. Bullcoming appealed to the New Mexico Supreme Court, which, considering Melendez–Diaz, acknowledged that the report was testimonial but concluded that admission of the report was constitutional because (1) the certifying scientist was a “mere scrivener” and (2) the testifying scientist was a qualified analyst capable of serving as a surrogate. The question presented in Bullcoming, then, was whether the prosecution can constitutionally introduce a lab report, having a testimonial certification and made to prove a fact, through surrogate in-court testimony of a forensic scientist who neither signed the certification nor performed the test. In a 5-4 decision, the Supreme Court reversed the judgment of the New Mexico Supreme Court, holding that the Confrontation Clause does not permit such surrogate testimony. The accused has a right to be confronted with the certifying analyst, unless the analyst is unavailable and the accused has had an opportunity to cross examine that analyst before trial. Justice Ginsburg delivered the opinion of the Court. Justice Scalia joined the opinion in full. Justices Sotomayor and Kagan joined all but Part IV, and Justice Thomas joined all but Part IV and footnote 6. Justice Kennedy, along with Justice Alito, Justice Breyer, and Chief Justice Roberts dissented. Much of the dissent expressed a continuing gripe concerning the Crawford line of decisions, of which Bullcoming is now a part. Shayna Fernandez admitted to drinking her last beer as late as 4:30 in the morning this past Saturday. Just over two hours later she was involved in an accident on Route 93 in Andover. As a result of that accident two people died and one was injured. According to reports Fernandez had recently dropped a friend off in Lowell. She ended up on Route 93 northbound. Witnesses have indicated that she might have been driving as fast as ninety miles per hour in the far left lane when she hit a car being driven by a sixty two year old Saugus man. The victim’s car rolled over. The driver and one of his passengers were killed and a third man survived with injuries. Fernandez failed Field Sobriety Tests at the scene. She took a Breathalyzer Test and blew a .145, nearly two times the legal limit. Bail was set at fifty thousand dollars cash. The case will likely be prosecuted in the Salem Superior Court even though the district courts have jurisdiction over the charges. Fernandez is being charged with two counts of Motor Vehicle Homicide, Negligent Operation, OUI and assorted Criminal Motor Vehicle Offenses. A conviction for these crimes will likely result in a state prison sentence for Fernandez. Any Massachusetts Criminal Defense Lawyer will tell you there is no up side to taking a Breathalyzer Test, and in most instances the same sentiment applies to Field Sobriety Tests. Fernandez’s problems defending this case will no doubt be compounded by the negative results generated by these tests. Jurors rarely acquit where high readings are involved. Eyewitness testimony about the rate of speed at which she was traveling was sufficiently damaging to her defense particularly in a case where death resulted. An accident reconstruction will likely be performed by the state police, possibly supporting the eyewitness’ observations. Driving ninety miles per hour with the death of innocent people resulting, will, in and of itself trigger a criminal prosecution. A suspicion of alcohol ingestion or intoxication magnifies the problem. However, failed tests validate the subjective findings of the police and make defending this case extremely difficult. It is important to remember that in Massachusetts the prosecutor cannot mention to a jury that a defendant refused to take a breathalyzer test. Nor can the district attorney comment on a failure to attempt to perform field sobriety tests. What they can do is take the results of these tests, if taken, and use them to support their prosecution. It is much easier to defend someone who has not taken these tests. It’s no secret that police often write OUI police reports generically, using a laundry list of common OUI symptoms relating to physical appearance, driving, and field sobriety testing. Sometimes these reports are essentially templates in which a select few facts are unique to the defendant. The fictional on-size-fits-all OUI suspect almost always has the same characteristics: “a strong odor of alcohol,” “red watery eyes,” “slurred speech,” an “unsteady gait,” etc. Obviously then, it is not unusual for these reports to contain false information and exaggerations. Because of this, booking videos and in-car cruiser camera videos can be an invaluable source of exculpatory evidence. Booking and cruiser videos can be extremely useful for a variety of reasons. They can reveal that you were not as drunk as the police said you were or otherwise undercut the officer’s version of the facts. They can expose flaws in your arrest experience and the administration of field sobriety tests and breathalyzers. During the booking process, the booking officer asks a series of background questions. The suspect will be fingerprinted, and a photograph will be taken. As such, booking videos often reveal a respectful and perhaps frightened and confused person with whom a jury could readily sympathize. As many Massachusetts police departments are now using video cameras and taping these events, it is critical for an attorney to determine whether video evidence is available and carefully review all video evidence. Under the Massachusetts Rules of Criminal Procedure, exculpatory videos must be automatically produced. Some prosecutors, however, may not realize their duty to produce booking tapes, so it is important to have an attorney who will ensure that these videos are preserved and produced. In Massachusetts drunk driving cases, it can be useful to have a blood sample that can be compared to breathalyzer results. Recognizing this, Massachusetts General Laws Chapter 263 Section 5A gives those suspected of drunk driving the right to an independent physical examination, and the police officer in charge of the station is required to inform OUI/DUI/DWI/drunk driving suspects of this right immediately upon being booked. The statute places the main responsibility in the hands of the suspect, and the police need not assist anyone in the exercise of this right. The police only have to provide a “reasonable opportunity,” which generally just means that they must inform suspects of this right and make a telephone available. Police have to do very little to adequately notify suspects, and sometimes they will just give a suspect an opportunity to read the statute. This law has two purposes: (1) to provide arrested persons with the opportunity to seek potential exculpatory evidence; and (2) to prevent improper police conduct. Typically, if the police fail to inform a suspect of his/her statutory right to a physical examination, the remedy is dismissal of the complaint or suppression of evidence. However, the statute does not make the remedy explicit, and there are some very troubling loopholes that arise from the prophylactic purpose of the statute. The Appeals Court has determined that even where police fail to inform a defendant of his/her right to a physical, no sanction is required where police did not “attempt” or “desire” to undermine the purpose behind §5A. The Supreme Judicial Court has held that the remedy must only be “adequate” to cure potential or real prejudice resulting from a violation of §5A, considering whether the suspect was so drunk that compliance with the law would have been futile. Therefore, there might be no remedy for a violation of your rights where, for example, the police are otherwise occupied or even careless. A violation of your rights might be justified where someone else simply determines that it wouldn’t be worthwhile to comply with the law. Bullcoming v. New Mexico, argued before the United States Supreme Court on Wednesday March 2, 2011, presents a question that may have important implications in Massachusetts OUI/DUI/drunk driving cases: Does a blood-alcohol test admitted without the analyst’s actual in-court testimony violate a defendant’s Sixth Amendment Confrontation Clause rights? In his brief, Bullcoming essentially argues that: 1.) the blood alcohol test is testimonial because, like the certificates in Melendez-Diaz, law enforcement provided seized evidence to the lab to assist in the investigation, a certificate reported a certain chemical composition, and the results were presented in a formal report that was approved for use as evidence in criminal trials; and 2.) the testimony of the particular analyst who prepared the report was necessary to satisfy the requirements of the Confrontation Clause. The State’s position is that: 1.) the report is not testimonial because the information contained therein is machine-produced data, and machines are not witnesses for Sixth Amendment purposes; 2.) the report is distinguishable from the certificates in Melendez-Diaz as it is more akin to “non-adversarial public records…such as birth certificates or judgments of conviction;” 3.) if the analysis was testimonial, the requirements of the Confrontation Clause were satisfied by Bullcoming’s opportunity to confront the data and cross-examine a witness who had knowledge of the lab procedure; and 4.) 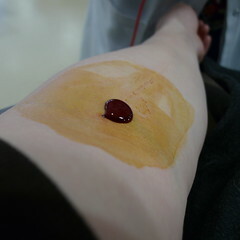 any error in admission of the blood analysis was harmless. As a Massachusetts intoxicated driving criminal defense attorney, I am against invasive police searches of people who are merely suspected of crimes. That’s why I was disturbed by a Dec. 13 CNN article saying the federal government would like states to make blood tests mandatory for suspected DUI drivers who refuse breath tests. This “no refusal” policy was part of a U.S. Department of Transportation media blitz tied to the holiday season, when drunk driving arrests typically rise. The DoT believes refusing the breathalyzer helps some drivers escape prosecution for DUI, so it is asking states to make resources available to take blood from drivers instead. That effort would require judges on call to provide search warrants as well as personnel or training for officers in collecting blood. Under a no refusal policy drivers are simply not allowed to decline a chemical test when intoxicated driving is suspected. When someone refuses to take a breathalyzer test, police officers would be able to call a judge who would be specially on call for this purpose. That judge would issue a search warrant, which is legally necessary to draw blood from Americans against their will. The officers would then have to bring the patient to someone trained in drawing blood, or draw the blood themselves if they have the training. In many states, state law specifies that doctors, nurses, paramedics or other medical professionals must actually draw the blood. “No refusal” strategies are currently being used in nine states, though not necessarily in every part of those nine states, and Transportation Secretary Ray LaHood says 30 states have state laws that make the policy possible. As a Massachusetts OUI criminal defense lawyer, I would like to remind LaHood and CNN’s readers that Americans have a Fourth Amendment right to be free of unreasonable searches. The U.S. Supreme Court ruled in 1966 that forcible blood draws are legal, but it did not address the Fourth Amendment issue — leaving it open to a potential challenge. That decision also set standards for how police should conduct these forcible blood draws, which means drivers have the ability to challenge blood draws that don’t meet standards. In the 1966 ruling, the court said blood should be drawn in “humane and medically acceptable circumstances,” which may be why so many state laws list which medical personnel are qualified to draw blood. Police also must have probable cause to believe the driver is intoxicated. Failure to meet those standards can and does allow drivers to challenge the evidence against them, potentially undermining the entire case. There are also practical objections to a no refusal rule. Many of them stem from the cost of meeting the legal requirements above — making qualified medical professionals and judges available whenever the police need them to handle a drunk driver. Police officers aren’t trained phlebotomists and may not be able to do the blood draw correctly — nor should they be required to learn a new job. But police agencies may not have the money to keep a nurse on call at all times, and judges may be less than pleased to be woken at 4 a.m. for a warrant. All of this gives officers an incentive to skip steps, which raises the risk of an unnecessary injury or violation of civil rights. There is at least one report of a man left with an infection by a botched police blood draw. Drivers in other cases have complained that officers refused to listen when they warned that they had deep veins, collapsed veins or health problems making a blood draw a bad idea. And of course, blood samples have all the same chain of custody problems as breath samples, any of which could get the evidence thrown out of court. As a Massachusetts drunk driving criminal defense attorney, I think these are all important arguments against a “no refusal” law. At the very least, Beacon Hill should think carefully about whether it wants citizens literally strapped to a bed and their blood forcibly taken on the mere suspicion of an OUI. Many of the cases of intoxicated driving that I’ve written about include good examples of what not to do and what not to say if you’re pulled over for drunk driving. For example, telling the officer you’ve been drinking and popping pills all day is not the best idea. As a Massachusetts intoxicated driving defense attorney, I encourage people who are pulled over for drunk driving to not only keep in mind their rights, but to think strategically about what to say and do in order to ensure that the police report contains as little incriminating evidence against them as possible. A police officer who pulls someone over probably already thinks that person is guilty — but they still have to collect enough evidence to legally show guilt. This is why police officers ask drivers questions about whether they have been drinking and how much, and request that they perform field sobriety tests and breathalyzer tests. Officers then record the details that they observe, the answers that drivers supply, and the results of field sobriety tests and breathalyzers in the police report, so that it can serve as evidence and they can refer to it when they testify in court against the drivers. Many drivers don’t realize that even though police routinely ask them to take tests and answer questions, they cannot be forced to comply. You are not legally required to take a breathalyzer test, but there are consequences for refusing. If you’re over 21, you can lose your license for 180 days refusing to take a breathalyzer test. If you are later found not guilty or your case is dismissed, you can apply to the RMV for early reinstatement before the 180 days are up. The same is not true for field sobriety tests, which you are free to refuse with no legal consequences in Massachusetts. Police officers’ interpretation of field sobriety tests is subjective, and the tests are difficult for sober people to perform correctly in relaxed settings, never mind for people who are nervous and standing on the side of the road, as I have written recently. Similarly, breathalyzers can also yield highly inaccurate results. Thus, it may better to deprive the police report of the police officer’s subjective evaluation of your performance of these faulty tests. One of the biggest reasons to consider refusing to answer questions and taking the tests is that officers will record evidence that can be held against you, but are unlikely to record any evidence that exonerates you. Let’s say you had one drink but you’re not drunk. If your breath smells of alcohol, the officer will notice it, put it in the police report, and interpret everything else you do and say through that lens. You may not be able to stop them from noticing the smell of alcohol on your breath, but you can politely decline to answer questions about how many drinks you have had and where you have been, perhaps adding that you cannot answer any questions until you’ve spoken to a Massachusetts OUI defense attorney. Then, the officer may write in the police report that you refused to answer questions, but he or she will not be able to write that you admitted to drinking before driving. If you do refuse to answer questions or take the tests, it’s extremely important to be polite and respectful about it. Do not challenge police officers’ authority or give them a bad “attitude.” Your goal is to avoid being charged with drunk driving, and making the officer angry does not help. It could also make the officer portray you more negatively in the police report and subsequent court testimony.